I was asked to make a presentation to Wabash Marketplace at their annual meeting. I didn’t really know what the organization was, though I had heard of them. What I gleaned from the the meeting was that they were the equivalent of a downtown merchant’s association or chamber except they also had a leaning towards historical preservation. The City of Wabash doesn’t have a Chamber of Commerce, but rather there is a Wabash County Chamber of Commerce. Wabash Marketplace centers on promotion of the downtown. The meeting was held at the Charley Creek Inn and I was asked to speak in conjunction with Brent Martin and Jeff Kumfer of SRKM Architects on the Charley Creek Inn Expansion. Below is the text of my speech. Brent and Jeff had provided some pictures, but since I don’t have those, I’ve included some of my own here. I thought I would start this out by telling a little bit about my company and how we became involved with this project. Easterday construction company was started in Culver, Indiana some time in the 1920’s by my great grandfather, Russell Easterday. Russell was a school teacher who worked construction in the summer for James I. Barnes Construction out of Logansport. His skill and dedication caught the eye of Mr Barnes and he quickly moved up in the company. The company was doing a lot of work at the Culver Academies at the time. Eventually Mr Barnes tapped my grandpa to start at Division of his company and that was beginning of Easterday Construction – Russell L. Easterday Construction and Supply Company at that time. Our association with the Ford family begin about 25 years ago. The original incarnation of Brent and Jeff company, Scearce & Associates, had designed a guest house on Richard’s property. We were asked to bid on the work. We had submitted a bid, but had not been awarded the project yet, when a tornado came through Wabash and damaged Richard’s uncle’s house. Richard called on Saturday and ask my father if he would come look at the damage. Dad said that he would and asked if he needed to come then? Richard said no, Monday would be fine. Richard called again on Sunday to confirm that Dad was coming on Monday. Dad found this amusing and confirmed that he would be there Monday morning. Monday morning dad went to Wabash and checked out the damage. Tuesday morning he sent one of our superintendents, Roger Thews, to complete repairs. Richard met Roger, showed him where the damage was, and showed him the rest room in the basement of his house, and told him our crew could use it. Richard had an aversion to having portable toilets on his property. Richard called my father the next day and awarded us the guest house project. Richard told Dad he was the first contractor that showed up when he said he would. He said he was also extremely impressed that when he came down to check on Roger. He had put down a walk-off mat between the door and the restroom to keep his home clean. Roger also had it cleaned it that night, and every night, before he went home. We still use this as an example with our crew on what a difference a first impression makes. 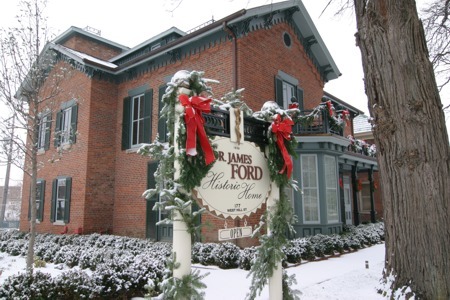 Since that time, we completed many projects for Richard culminating in the Dr James Ford historic home. He became more than a client, he was a friend. There was a period when Richard was ill and didn’t do much with us. I got a call from him to come look at a few things and it was nice to reconnect. After 1 kitchen table meeting with him he rermarked, I forgot how much fun it was working with you. The feeling was mutual. Richard had a running joke with my father. Richard loved to send faxes and leave messages at the office at odd hours. He said My father was the only contractor he knew who returned his calls. Something of a tradition I strive to continue! My father said that he would call from all over the world and ask if dad had time to speak to him! If only all our clients were so polite! 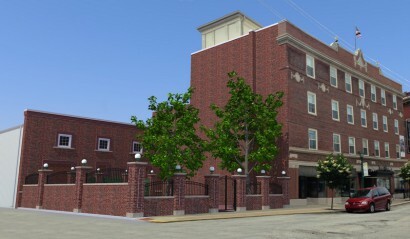 We started working on this project, the Charley Creek Inn Expansion, with Richard before he passed away. That was the first time I got to meet Mr Kaler. Throughout this process its been obvious that he has share the respect for a Richard that I have. When the project reemerged last year, I had the opportunity to begin working with Richard nephews, Steve, Dan and Mark. I have found them to be every bit the gentleman that Richard was. When it came time to select an architect, I recommended SRKM due to Richard’s long association with them as well as Easterday Construction’s long history with them. As I mentioned earlier, their firm was the firm that designed the first project we completed for Richard. I’m not sure if Brent and Jeff even know this, but my father once asked Richard how that relationship started. Richard said that he had once visited his brother at Purdue. 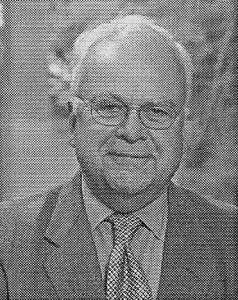 Don Scearce, the founder of Scearce and Associates, was a fraternity brother of Richard’s brother. Richard remarked, “he was nice to me.” Richard always looked for good and kind people and surrounded himself with them. SRKM and Easterday Construction have worked well together on multiple projects in the past. On this project, they took the initial ground work I had done with Mr. Kaler and the Ford family and fleshed out the design to make the details pop. That’s what architects do! Now I’ll shut up and let Brent talk a little bit about his firm and go through a little bit of the design process on the project. 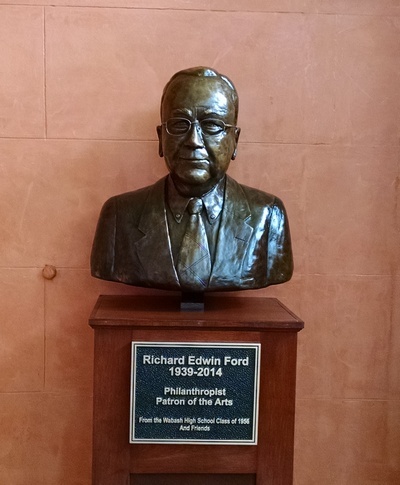 <At the end of Brent and Jeff’s presentation I asked to make some closing remarks.> I asked Brent to include a picture of the bust of Richard Ford that sits in the Lobby of the Charley Creek Inn. I understand that this was put there as a tribute from Richard’s classmates. While I have expressed my growing admiration for Mr. Kaler and the Richard’s nephews as we work through this project, seeing that bust in the lobby each time I come down here reminds me that Richard is watching me. It reminds me that I want to do a good job for Richard. Because above and beyond all the work he allowed me to do for him as a contractor, I want to do a good job for him as a friend.